When you're wearing the headset, you don't realize how silly you look. 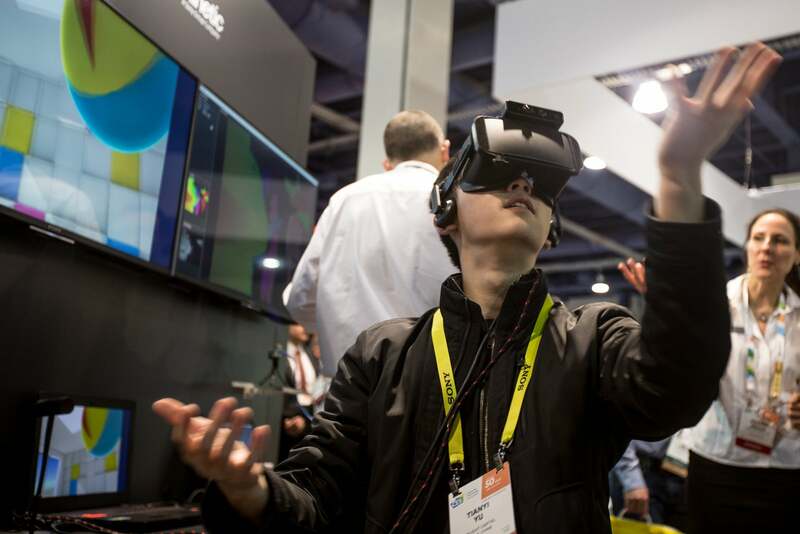 Virtual reality was all over CES, providing attendees with a glimpse into the computer animated future. 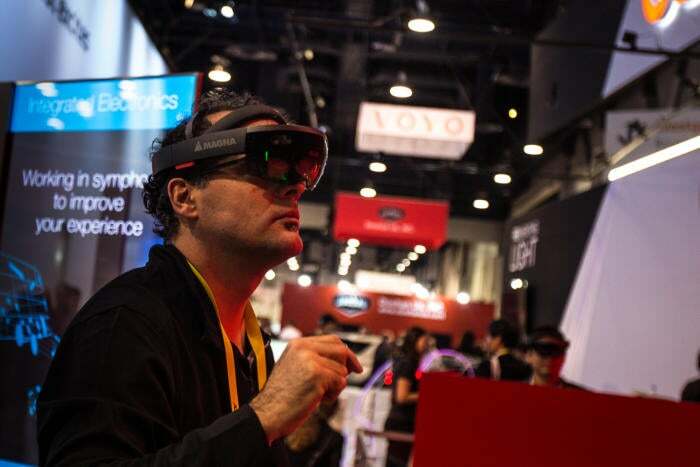 But while show-goers were deep in their virtual worlds, photographers Ann Singer and Alexandra Wimley of BU News Service were outside looking on. Here's what they captured. 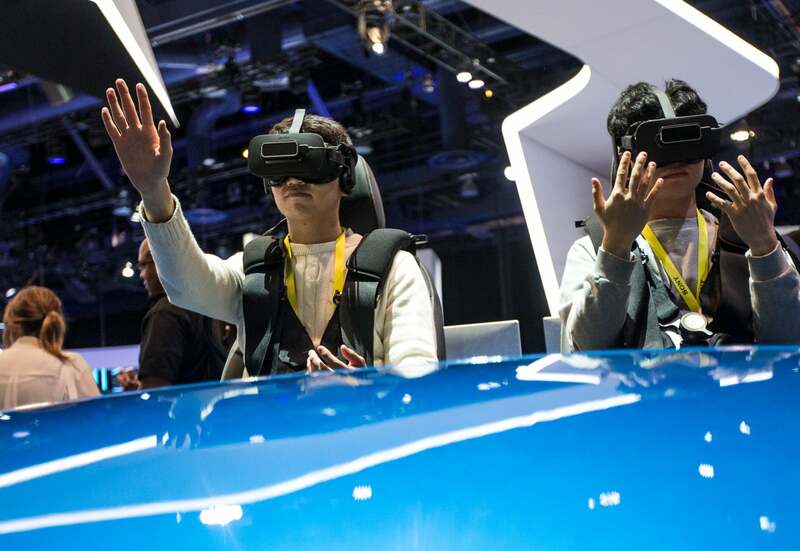 Here, David Nevas, of Lawrenceville, New Jersey, tries out the Icaros virtual reality flying device at CES on Jan. 6, 2017. A multitude of VR headsets and experiences were available to visitors to CES. 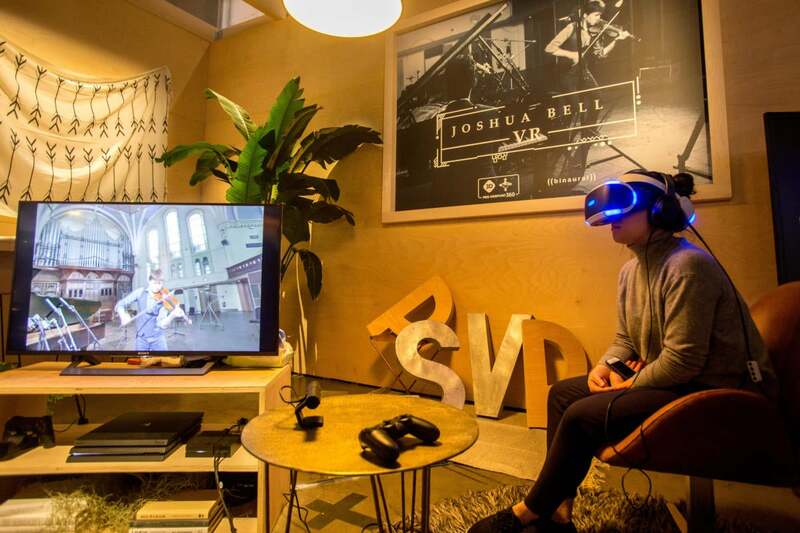 In this photo, Tianyi Yu uses a virtual reality headset by SoftKinetic. 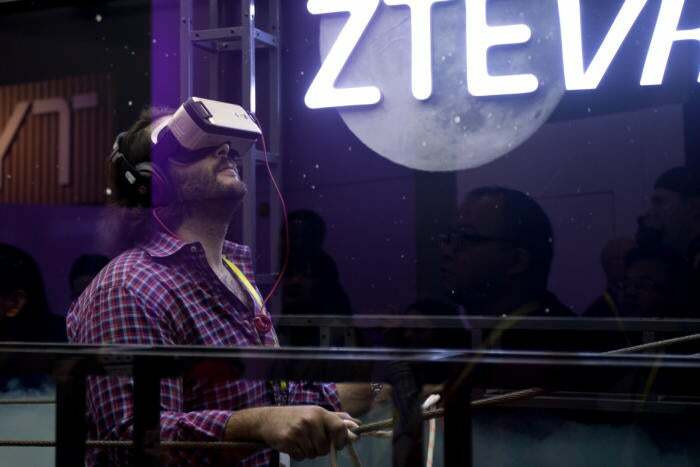 Here, Koby Behor uses a ZTE virtual reality headset that gives the experience of walking on a rope bridge. 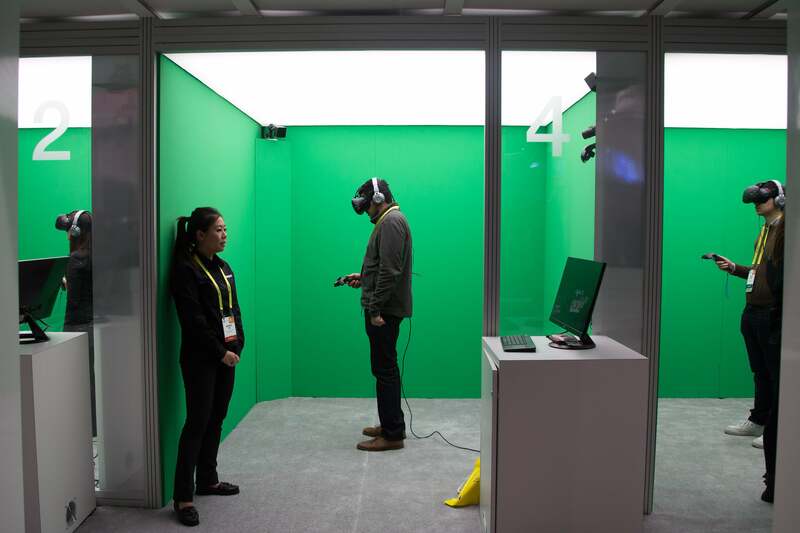 But VR can be a solitary experience. 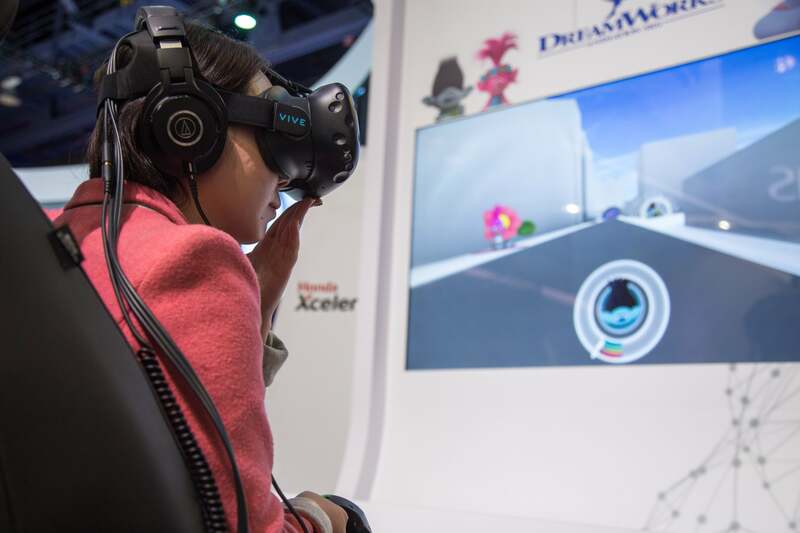 Are these CES showgoers on the Denso booth giving us a glimpse of the future of home entertainment? Cars were a popular area for VR demos. Here, Glenn Josefosky tries out a Mitsubishi Magna virtual reality headset at CES on Jan. 5, 2017. Sometimes, it's worth a picture. 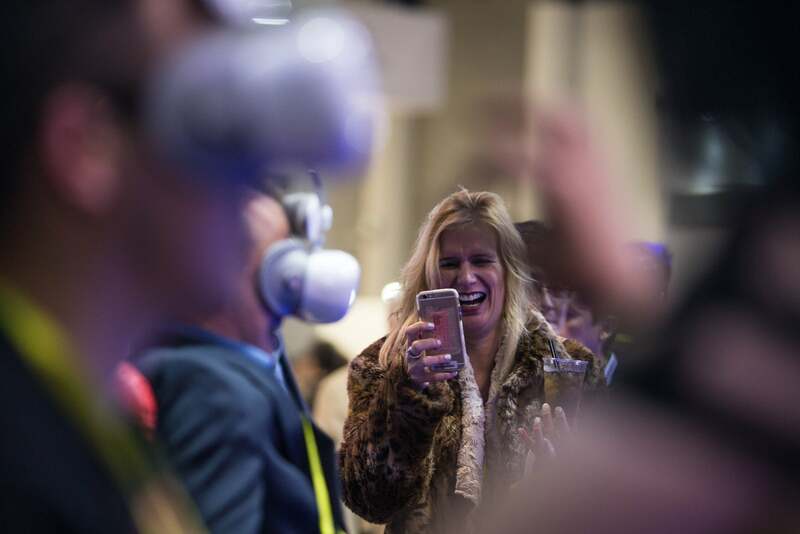 Here, Melissa Woodrin reacts as she records a friend's experience with a virtual reality headset and chair at CES on Jan. 4, 2017. 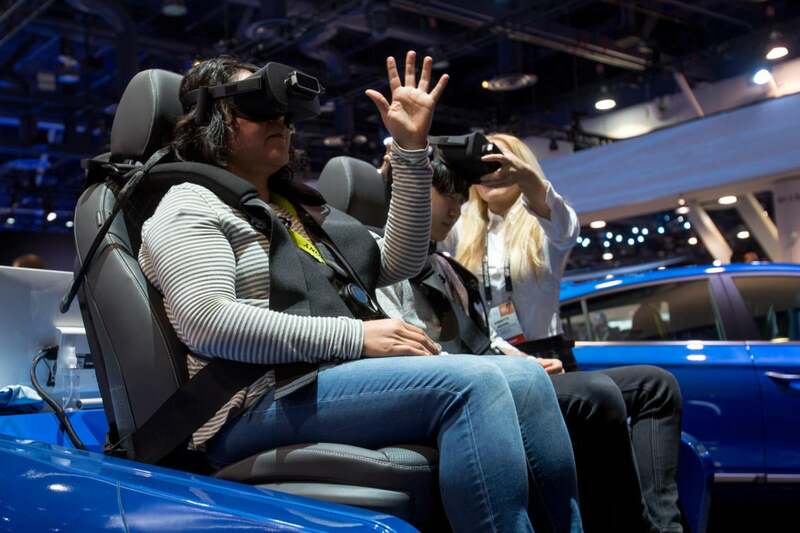 Attendees try out Hyundai's autonomous car virtual reality simulator, which mimics the experience of riding in a self-driving car, at CES on Jan. 5, 2017. Hyundai offered reporters the chance to ride in the actual car, which was a neat experience. The VR experience attracted a line at Hyundai's booth. An attendee tries out the PlayStation VR experience at CES in Las Vegas on Jan. 6, 2017. 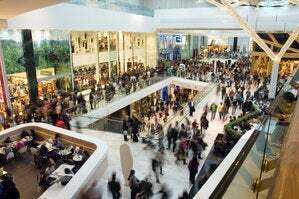 The virtual reality gaming experience has been praised as one of the best commerical VR systems currently available. 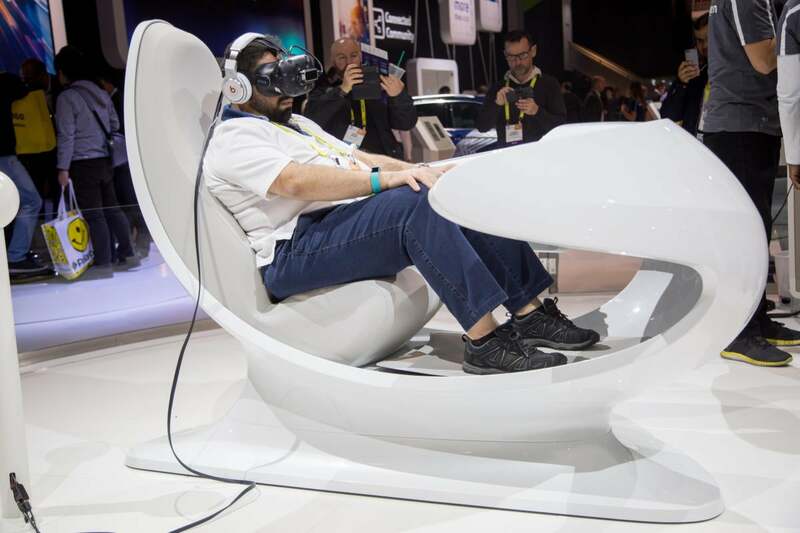 This futuristic pod allows attendees to enjoy a simulation of the Volkswagen I.D. through VR. The I.D. is still a concept but VW hopes to have the long-range electric car on the market in four years. 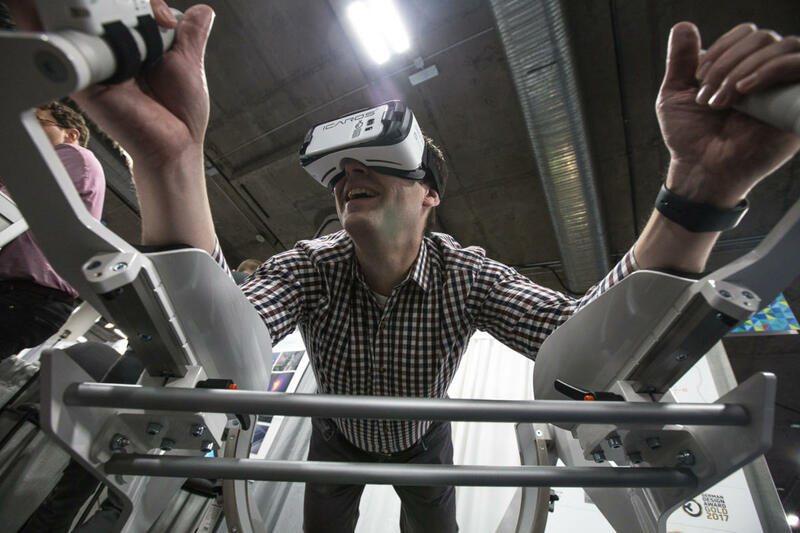 You have to watch out for flying hands and fists when VR gaming is happening. 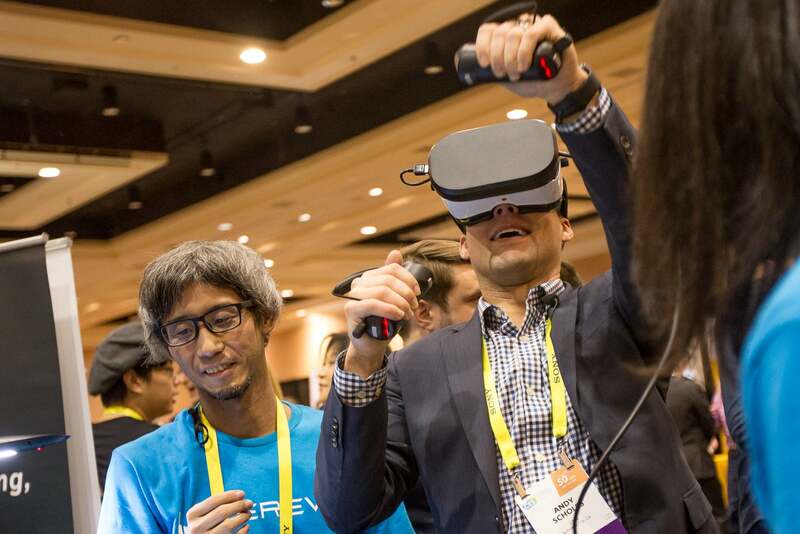 Andy Scholes of CNN tries out a Cerevo virtual reality gaming system at CES Unveiled in Las Vegas on Jan. 3, 2017. 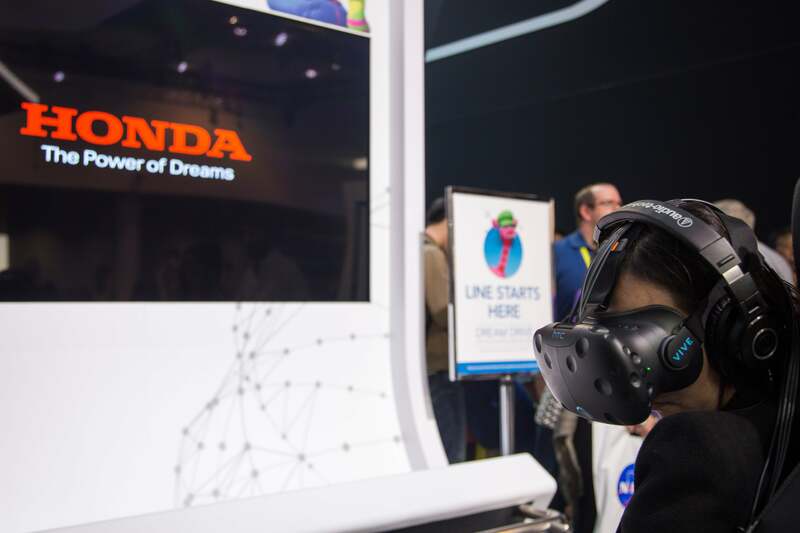 An attendee tries out a future driving simulator at the Honda booth at CES in Las Vegas on Jan. 6, 2017.